Give yourself a bit of retail therapy at The Mauritshuis Royal Picture Gallery and De 9 Straatjes. 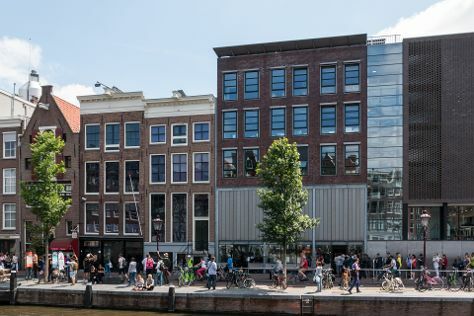 Anne Frank House and Willet-Holthuysen Museum will appeal to history buffs. When in Amsterdam, make a side trip to see Frans Hals Museum in Haarlem, approximately 34 minutes away. Next up on the itinerary: admire the masterpieces at Rijksmuseum, take an in-depth tour of Van Gogh Museum, sample the tasty concoctions at Heineken Experience, and take a stroll through The Jordaan. For ratings, where to stay, reviews, and more tourist information, use the Amsterdam trip itinerary maker tool . If you are flying in from United States, the closest major airports are Amsterdam Airport Schiphol, Eindhoven Airport and Eelde Airport. Expect a daytime high around 49°F in March, and nighttime lows around 35°F. Wrap up your sightseeing on the 24th (Sun) early enough to travel back home.